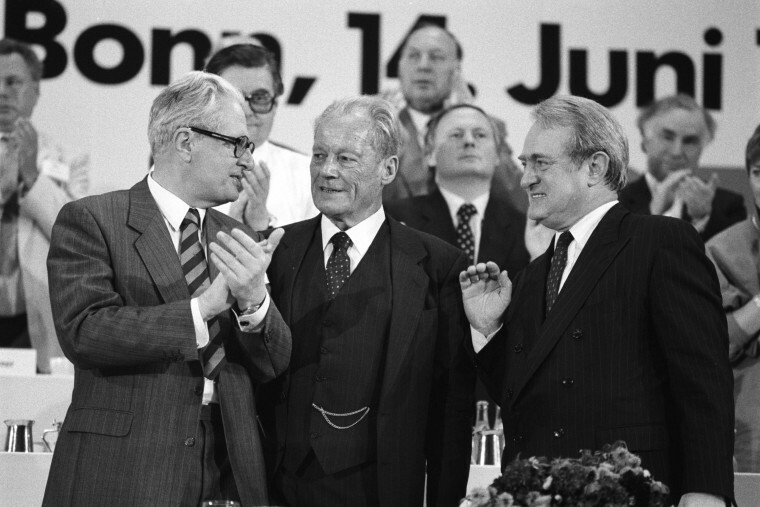 Under Willy Brandt, the SPD develops into a modern left-leaning mainstream party which celebrates many successes. Beginning in 1966, it bears government responsibility in Bonn for 16 years. 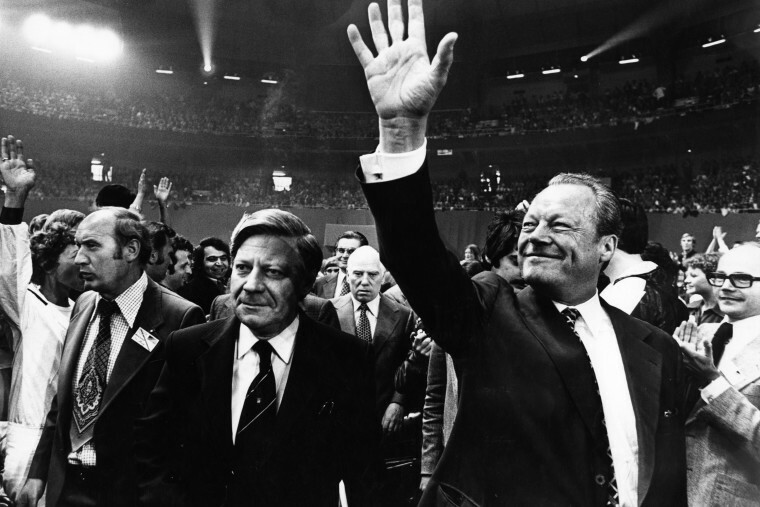 As Federal Chancellor, Brandt leads the party in 1972 to the greatest electoral victory in its history. Meanwhile, the number of SPD members climbs rapidly and totals around one million in 1976. 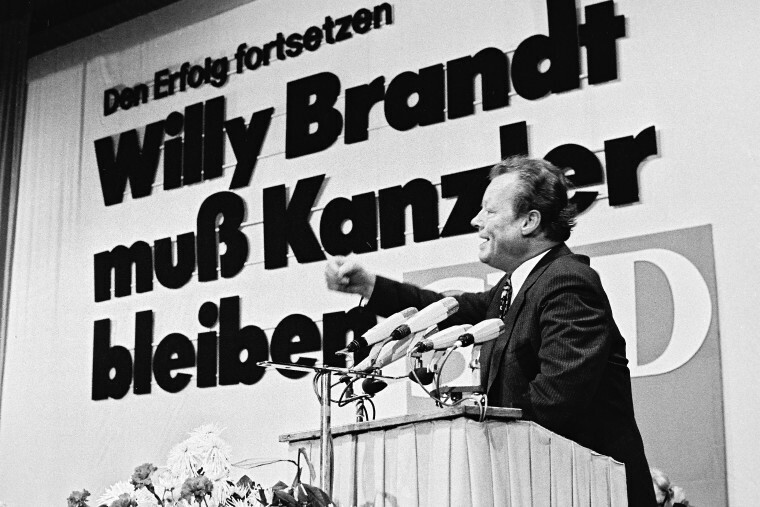 Even after the Chancellor’s resignation in 1974, Willy Brandt is the figure of identification and integration for the party, although his leadership style is sometimes controversial and internal party conflicts increase. As chairman in the era of Federal Chancellor Helmut Schmidt, he is able to hold the SPD together only with a lot of effort. After the loss of power in 1982, Brandt sets the course for the SPD’s new principal guidelines. Since the Godesberg Programme of 1959, the SPD has been moving increasingly to the political centre to open up new groups of voters for itself. Its transformation from a traditional workers’ party into a modern mainstream party is embodied in the early 1960s by Willy Brandt more than by anyone else. As early as the 1961 Bundestag elections, the social democrats field the Governing Mayor of Berlin as their Chancellor candidate against the incumbent, Konrad Adenauer (CDU). 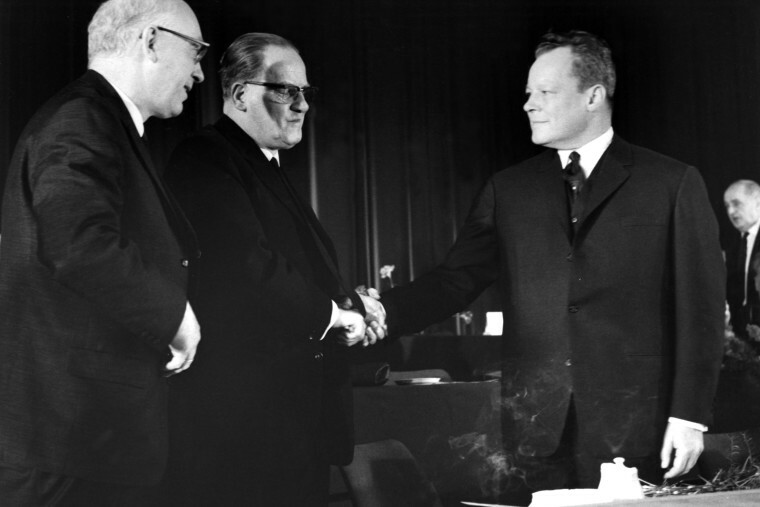 Therefore it is no longer a surprise when an extra-ordinary party convention in Bonn on 16 February 1964 elects Willy Brandt as the new SPD chairman after the death of Erich Ollenhauer. The programmatic and personnel renewal of the SPD proceeds with the modernisation of the party’s organisation, appearance and election campaigns. A new aspect are its contacts with writers, journalists and intellectuals who take a stand for social democracy in the 1961 and 1965 Bundestag election campaigns. From that emerges the “Sozialdemokratische Wählerinitiative (SWI)” (“Social Democratic Voters’ Initiative”) founded by Günter Grass in 1968. The significant gains in votes which Willy Brandt and the SPD are able to score in the 1961 and 1965 Bundestag elections do not actually put them into position to govern. After the second defeat as Chancellor candidate, Brandt even declares that he does not wish to run a third time. The reason for this are the repeated defamation campaigns against him which cast doubts about his exile in Scandinavia. The SPD and its chairman gain governing responsibility at the federal level for the first time when, in autumn 1966 due to a sudden economic downturn, the coalition of CDU/CSU and FDP collapses. After the resignation of Federal Chancellor Ludwig Erhard (CDU), the formation of a Grand Coalition results. As expected, co-operation with the CDU/CSU is highly controversial in the SPD. Many of its members reject the alliance with the conservative Union parties. Even Willy Brandt is initially sceptical, but does vote for the Grand Coalition. He becomes Foreign Minister and Vice Chancellor in the cabinet of Federal Chancellor Kurt Georg Kiesinger (CDU). The CDU/CSU and SPD work rather successfully together on domestic policy. Therefore, the Grand Coalition is popular with the people. The government not only stimulates the economy but also introduces the modernisation and liberalisation of the Federal Republic and thereby reacts to the rapidly advancing transformation of society. The most important innovations and measures are the reform of the public financial order, the reform of the universities, judicial and criminal law reforms, the growth and stability law, the “Konzertierte Aktion” (“Concerted Action”) of state, employers and trade unions in economic policy, the development of traffic routes as well as the law on continued wage payments in times of disabling illness. 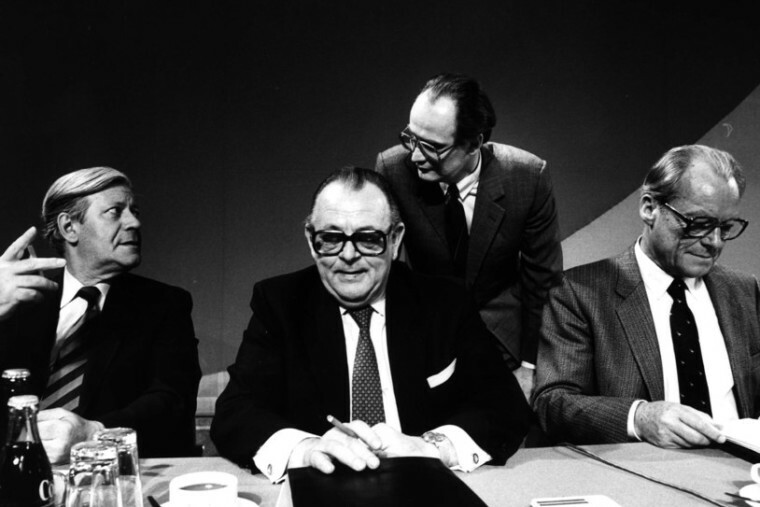 On the social democratic side, Willy Brandt, his party deputy, Herbert Wehner, and the faction chairman, Helmut Schmidt, as well as the ministers, Karl Schiller, Gustav Heinemann and Georg Leber, play major roles in reform projects. Nevertheless, the Grand Coalition meets with fierce resistance by the extra-parliamentary opposition (APO), which especially takes to the streets in 1967/68 against the state-of-emergency legislation adopted by the governing parties in the Bundestag. The question of how to respond to the student protests is increasingly controversial within the Grand Coalition. Brandt sets boundaries between the SPD and the radical forces in the APO but does continue a dialogue with moderate young people critical of the system and shows himself to be receptive to them. The years with Willy Brandt at its head represent a golden era in the history of German social democrats. In the 1972 Bundestag elections, the SPD benefits especially from the popularity and high international prestige of the Federal Chancellor and Nobel Peace Prize Laureate. In particular it campaigns with the slogan “Germans, we can be proud of our country. Elect Willy Brandt!” and achieves its best results historically. Its membership numbers also climb steeply: from 650,000 (1964) up to one million (1976). Between 1969 and 1976 alone, the SPD records the admission of 400,000 new members, of whom more than two thirds are younger than 40. In this respect, Brandt’s receptiveness toward the APO generation pays off. The downside of the rapid growth of membership in the early 1970s is mainly the fact that the SPD is less and less a party of workers. The new members often have an academic education or are employed in public administration. Due to the SPD’s youth organisation, the “Jusos”, who take a critical stance toward the policies of the social-liberal government, the left-wing of the party is strengthened. Internal party conflicts are the result. The fact that Willy Brandt reacts rather placidly to this development and does not wish to firmly curb the leftists in the SPD is met with an enormous amount of criticism from Helmut Schmidt and Herbert Wehner. As the “Troika,” the three have formed the power centre of the party since the late 1960s. However, beginning in 1973 their relationship is considerably strained. Wehner and Schmidt accuse Brandt of weak leadership and insufficient rigour. By contrast, the supporters of the SPD chairman praise his congenial leadership style because he prefers to bring about decisions through a process of discussions and consensus rather than through decrees. His resignation from the office of Federal Chancellor in 1974 changes nothing about the fact that Willy Brandt is and remains the figure of identification and integration in the SPD. He is unchallenged as the chairman of the German social democrats. To this position the party elects him a total of twelve times between 1964 and 1987 and always with over 90% of the vote. 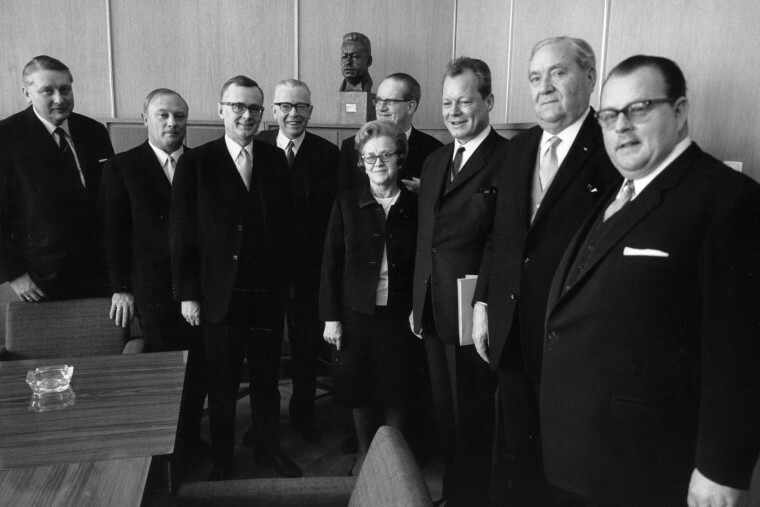 Among Brandt’s most important companions at the head of the party are the deputy chairmen, Fritz Erler (1964–1967), Heinz Kühn (1973–1975), Hans Koschnick (1975–1979), Hans-Jürgen Wischnewski (1979–1982), Johannes Rau (1982–1987) and Hans-Jochen Vogel (1984–1987) as well as the treasurers, Alfred Nau (1946–1975), Wilhelm Dröscher (1975–1977), Friedrich Halstenberg (1978–1984) und Hans Matthöfer (1985–1987). The SPD boss cultivates an especially close working relationship with the national secretary of the party. Those who prove their worth in this office are Hans-Jürgen Wischnewski (1968–1971), Holger Börner (1972–1976), Egon Bahr (1976–1981) and Peter Glotz (1981–1987), who particularly enjoy the confidence of Willy Brandt. In his offices at party headquarters and in the Bundestag, the SPD chairman is well-supported by his long-time personal associates Klaus-Henning Rosen, Thomas Mirow, Klaus Lindenberg, Thea Wernicke and Rita Lintz. After his resignation as Chancellor, Willy Brandt works for the successful continuation of the social-liberal government led by Federal Chancellor Helmut Schmidt. In the 1976 and 1980 elections, the SPD/FDP coalition holds its majority in the Bundestag. However, the task of holding his own party together becomes progressively more difficult for Willy Brandt. The left wing becomes increasingly dissatisfied with Schmidt’s policies. The consequences of an international economic crisis and most of all the strife over NATO’s dual-track decision plunge the SPD into a deep crisis in the early 1980s. On the issue of nuclear “re-armament,” a large rift opens up between Brandt and Schmidt and their respective supporters. The SPD chairman shares the concern of many party friends about the deployment of new missiles in Europe and wants to integrate the rising peace and environmental movements into the party. By contrast, the Chancellor insists on implementing NATO’s dual-track decision and calls for a clear separation from pacifists and nuclear power opponents. This controversy contributes substantially to the collapse of the social-liberal coalition in 1982. Whereas Helmut Schmidt and Herbert Wehner withdraw from the head of the party after the loss of governing power in Bonn, Willy Brandt continues as SPD chairman. Contrary to the resistance of the right wing he advocates a re-orientation of the party and reconciliation with the Greens. Under the direction of the chairman of the party, in 1984 work begins on new principal guidelines for the SPD designed to reconcile the interests of employees, of the economy and of the environment. 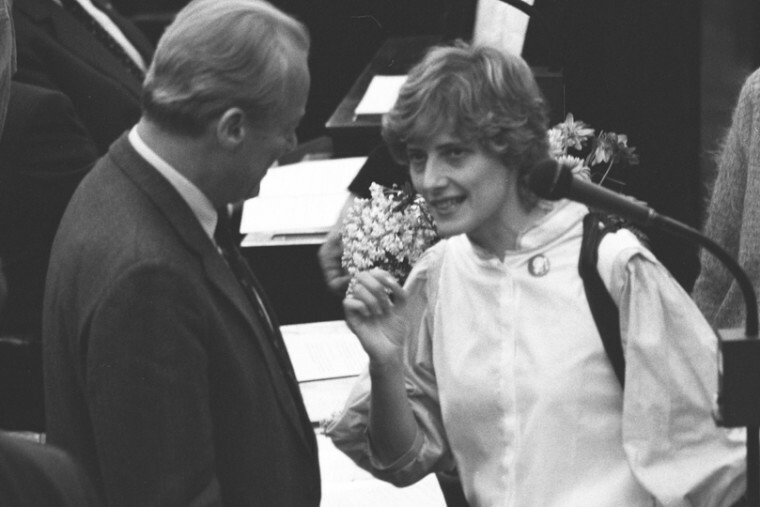 In 1986, the social democrats decide to advocate withdrawal from nuclear energy. However, the 1983 and 1987 Bundestag elections with the Chancellor candidates Hans-Jochen Vogel and Johannes Rau end with clear defeats for the SPD. Willy Brandt manifests considerable sympathy for the emerging generation of politicians who count as his “political grandchildren.” Among them are Oskar Lafontaine, Björn Engholm, Gerhard Schröder, Rudolf Scharping, Herta Däubler-Gmelin and Heidemarie Wieczorek-Zeul. On 23 March 1987, the 73-year-old party chairman announces his resignation. The impetus for this is the protests of many social democrats against his suggestion to make the non-party affiliated Margarita Mathiopoulos spokesperson for the SPD’s executive committee. 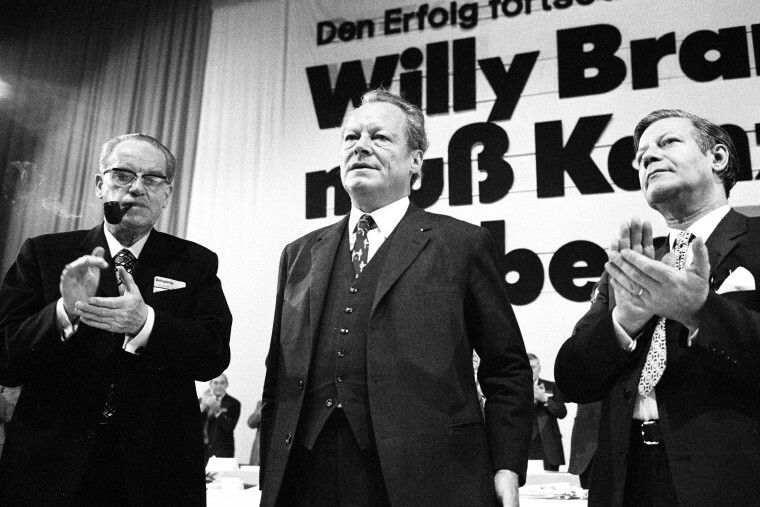 Willy Brandt has led the party for 23 years – longer than any other SPD chairman, even August Bebel. On 14 June 1987, the SPD names him its honorary chairman at an extra-ordinary party convention in Bonn. Willy Brandt – Berliner Ausgabe, Bd. 4: Auf dem Weg nach vorn. Willy Brandt und die SPD 1947–1972, bearb. von Daniela Münkel, Berlin 2000. Willy Brandt – Berliner Ausgabe, Bd. 5: Die Partei der Freiheit. 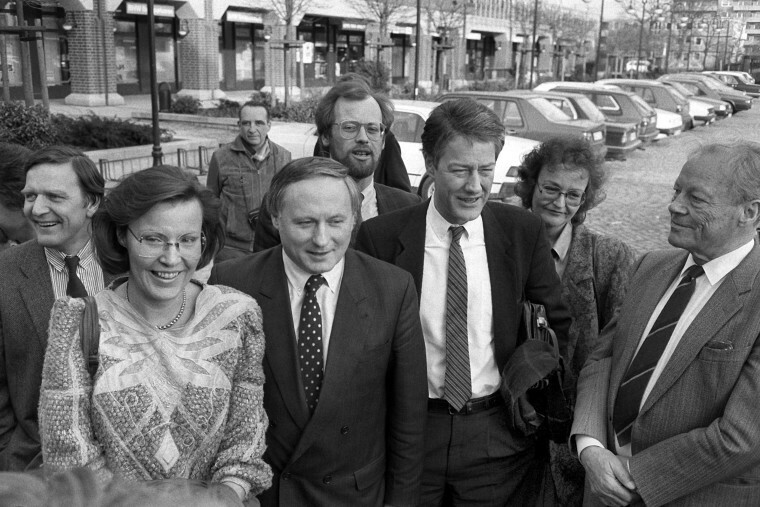 Willy Brandt und die SPD 1972–1992, bearb. von Karsten Rudolph, Bonn 2002. Willy Brandt: Die Abschiedsrede, Berlin 1987. Bernd Faulenbach: Das sozialdemokratische Jahrzehnt. Von der Reformeuphorie zur neuen Unübersichtlichkeit. 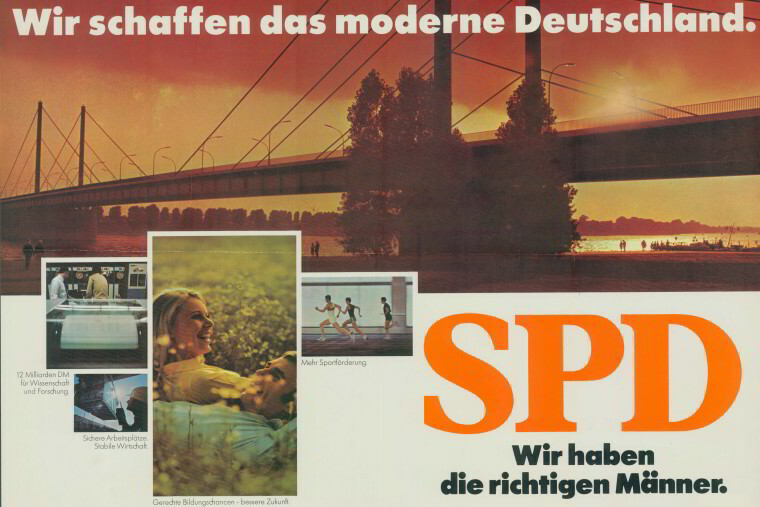 Die SPD 1969–1982, Bonn 2011.